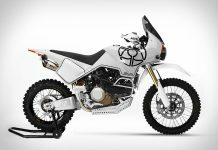 The world of motorcycle manufacture has changed in recent years. The manufacturer’s country of origin no longer dictates where a bike will actually be built. We have BMWs and KTMs built in India, Hondas and Triumphs built in Thailand, Suzukis in China, Yamahas in France. The age old notion of a nationality dictating a design and manufacturing identity are increasingly blurred as manufacturers seek to reduce costs and bring manufacturing hubs closer to the emerging markets they’re ever more trying to tap into. It leaves us with the bikes of China, for a long time stigmatised – and justified in that – for their cheap price and poor quality. There was often very little to recommend them. Times are slowly changing though, in large part brought about the increased price point of established brands, leaving room for Chinese retailers to capitalise, whilst UK importers are slowly getting their act together in terms of quality control, distribution and branding. 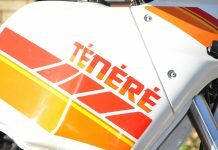 And lets never underestimate the importance of branding when it comes to selling motorcycles. 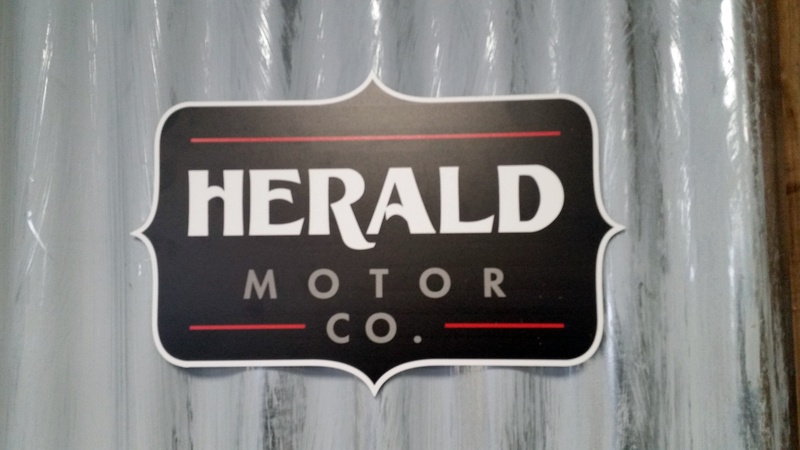 One to have caught the eye in recent years is Herald, formerly referred to as HMC, or Herald Motorcycle Company. Word got around that rather than simply import the bikes from China and sell them straight onto the punter, they instead set about making improvements to the bike; changing the engine oil for Silkolene, the tyres for Continental, spark plugs for NGK, as well as rear shocks and other bits and pieces to mean that the bike sold to the customer was tuned to perform in the manner we would expect of a new bike. The Herald brand has continued to blossom and gain in profile and model range. 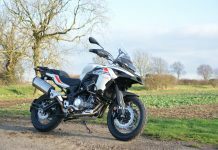 A new Euro 4 Maverick 125cc recently took part in the run from Land’s End to John o’Groats (the Garbage Run), proving itself reliable and robust. 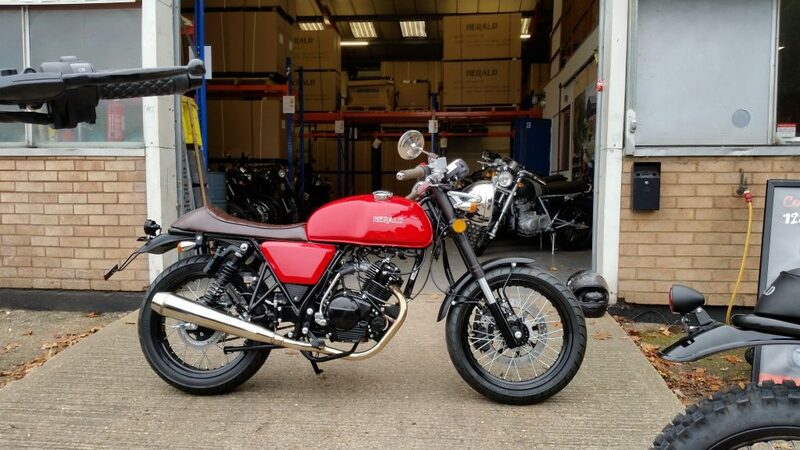 Good looking to boot, which, with a retail price of £2650 makes it somewhat of an appealing proposition for many riders, not just those looking for a bargain. Keen to find out more about the brand and their ambitions I headed over to Herald’s facility in the Northamptonshire town of Huntingdon, meeting up with regional sales manager Dan Headland and their lead designer, a Kiwi by the name of Gareth Williamson. Rather than a fly-by-night operation, I discovered that the company began importing bikes back in 2008 and founded by Dr Mike Ashmead, the Director of Encocam, a collection of engineering led companies heavily involved in the development and manufacture of crash test dummies and energy absorbers such as crash barriers. They have offices in Spain, Germany, US and Japan and a turnover for 2017 of thirteen million pounds. Certainly a solid platform on which to diversify into a new area. It was Mike’s passion for motorcycling that led him down the path of launching Herald; initially something of a pet project perhaps. 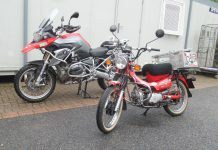 The bikes were bought in wholesale from Chinese manufacturers, branded HMC and sold on through independent motorcycle dealers across the country. Competition is rife in this market; with the relative ease to which anyone could buy a bundle of bikes, give them a new name and effectively operate as a bike company. Bar the name, the bikes sold by these companies are often very much the same, from the same Chinese factories, which has often been the problem in companies differentiating themselves from each other when essentially the bikes they were selling were identical. None of this aided in establishing brand loyalty, just in churning over a steady supply of imported bikes, sold mainly on the basis of cost and often let down by the ‘fly by night’ nature of some of the importers. Herald’s plan to counter that is to flip things around, by beginning to design and model bikes in the UK (Gareth’s role), before utilising their existing manufacturing hubs and contacts in China, and for next year also in Taiwan, to go away and put that bike into production. This guarantees a unique product to fit within the Herald brand and also marks a step towards the company’s ultimate goal of bikes being built in Britain. ‘Built’ and ‘assembled’ are two closely aligned terms that often blur the realities of a bike’s true identity. It’s likely that parts will be made in the Far East before being shipped to Britain for assembly. It’s the process many manufacturers employ now, with Herald’s intention to bring the manufacture of frames to the UK perhaps their most ambitious. 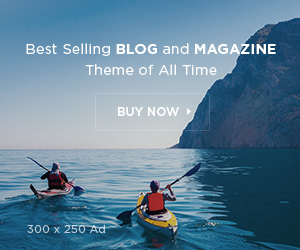 As the team admits, the difficulty for a fledgling brand such as Herald is price sensitivity. 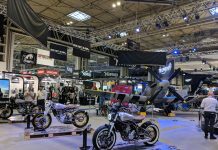 It’s a big leap for a company to go from charging low prices for imported bikes, to then charge higher, mainstream prices for bikes that suddenly feature UK input in their design and manufacture. Price parity with the likes of Ducati and Triumph would be a challenge, suggesting that as the brand builds then it’s the middle ground that can to be cornered. Good quality bikes, at good quality prices. By all accounts, the specification is done, with finalisation to the design concepts and engine and frame specification decided, though the company remaining tight-lipped on what those specs are. “Ultimately, we’re looking to built cost effective, affordable bikes with affordable custom options.” Adds Dan. Another issue is distribution. Established brands have the benefit of solus dealers where the sales environment, process and pitch can all be dictated and homogenised by the manufacturer. 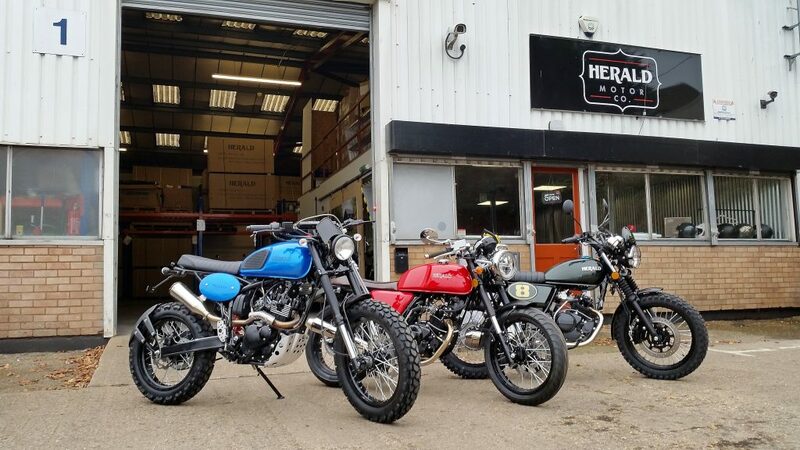 For Herald, much like other relatively new to market brands such as SWM, Sinnis and Lex Moto, using smaller, multi-brand dealers to sell the bikes is a large part of the challenge. In this environment, bikes compete largely on price. Increasing the quality, and therefore cost, runs the risk of bikes being sidelined if the price goes up. As Dan and Gareth explain, part of the challenge for Herald is making sure customers actively seek them out by designing and building the bikes the customer wants, backed up by Herald’s attention to detail that already sees them doing most of the Pre Delivery Inspection (PDI) at the factory, ahead of a bike’s delivery to the dealerships. This guarantees a constant quality of product supplied to the dealer, with the company currently looking to take on more people to fulfil this role. What is apparent in all this is the quick pace of Herald and their partners in the Far East. 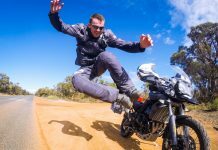 The incubation period for a bike from an established manufacturer can often be many years, sometimes reaching market too late to capitalise on current trends. 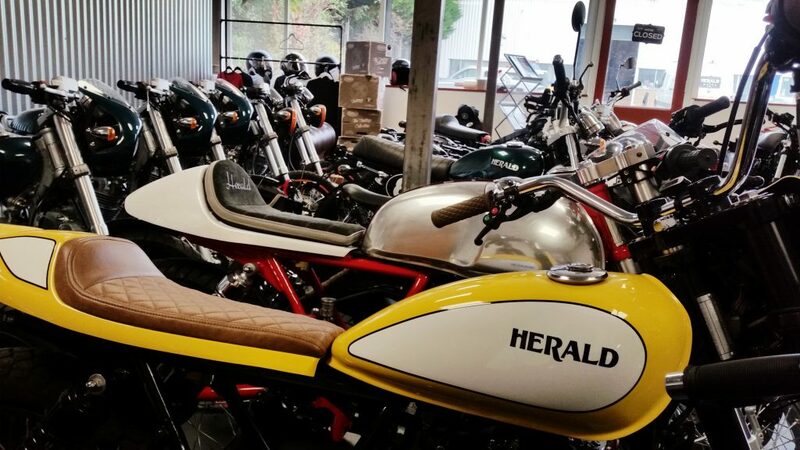 The quick turnaround of the Chinese manufacturing process, aligned with designs posted through from the UK, allows the likes of Herald to be more reactive to the market, designing and having built the bikes to take advantage of the current trend. “One of the benefits with working with Chinese companies is speed. They are responsive. The reaction time is so quick,” explains Gareth. This could be a particularly interesting development for the adventure sector, which is perhaps one of the fastest evolving sectors in the market. 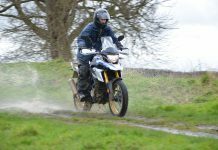 Already the tide could be turning towards smaller, more manageable bikes with fuel efficient engines and affordable price tags; see the mini adventure bike test in this issue as a case in point. The gap for the likes of Herald, in partnership with the Far East, is to capitalise on this fast pace of change and balance affordability, with good customisation and durable, fuel efficient motors and bikes. The company is certainly not lacking in ambition. 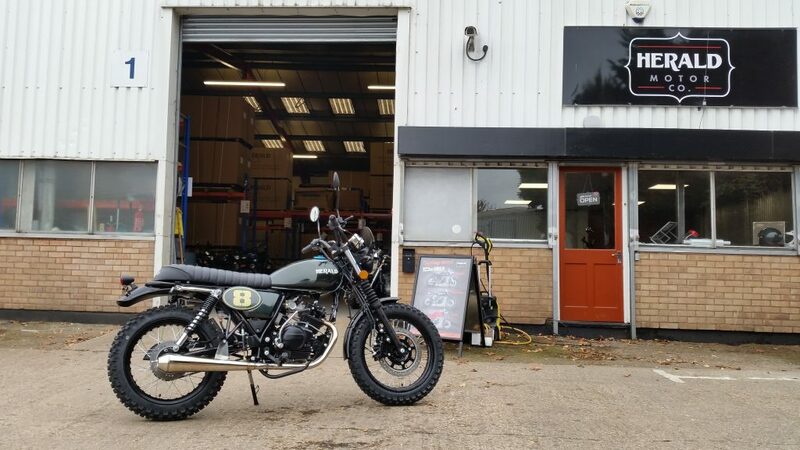 Going hand in hand with the development of new bikes is the talk of a new assembly hub in Huntingdon, offering four times the space of the current facility. 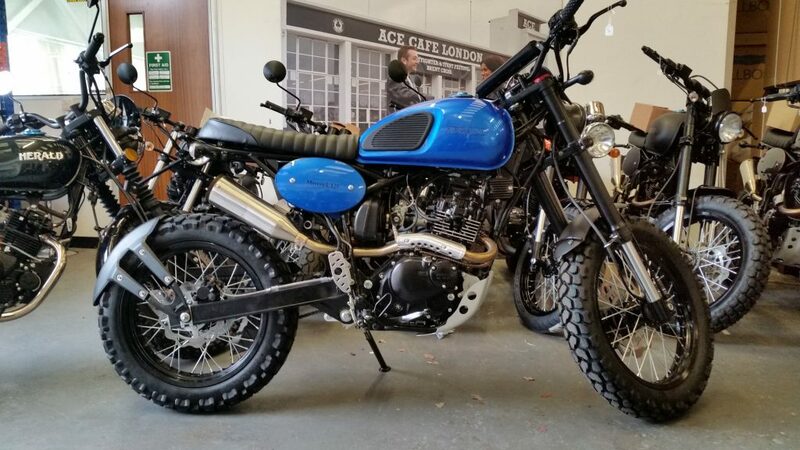 In November of 2017 the company also takes delivery of its first batch of Euro 4 compliant 125cc Classic, Cafe Racer and Scrambler. The new Euro-4 400cc models aren’t far behind them either. In the not too distance future a bike topping 400cc could also be offered, taking advantage of what might be a parallel-twin of some description, with Dan and Gareth remaining tight-lipped as to its origins and output. There’s certainly some intrigue here. You have a small company, quick to adapt, with a strong creative design team, aligned with huge Chinese producers able to turn around new designs in record times. The potential is there. The enthusiasm and appetite is there. Time will tell if there is the necessary demand from the market to match it, and to see the Herald brand grow. You certainly wouldn’t bet against them.